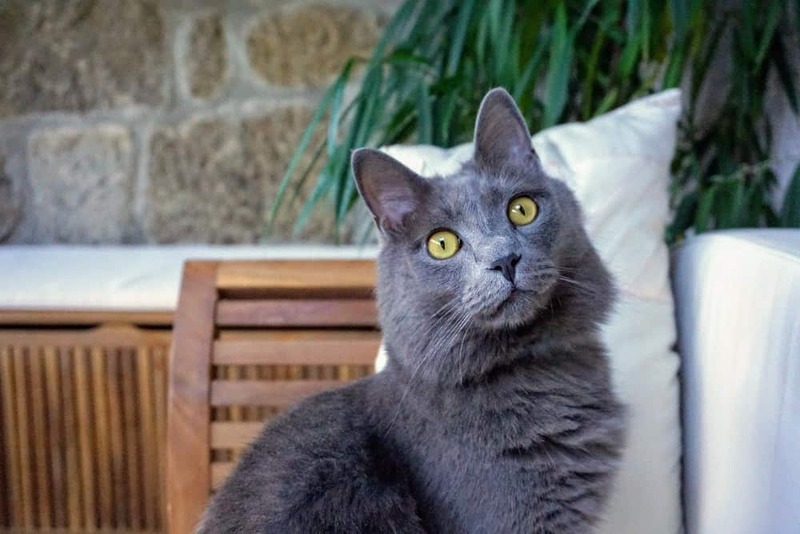 Welcome to our blog, Fluffy Kitty, the blog of all cat lovers! Paul is a native of Ardèche, France and I am native of Burnsville, NC, USA. We come from two small towns, both tucked away in the mountains. Our story began in 2011 when we first met as students at the University of North Carolina at Greensboro. We’ve endured life together both nearby and at a distance! At times the journey is difficult, but an adventure is always waiting for the both of us. In a nutshell, we are passionate about travel, adventure, family, and our furry family – animals! I am a distinguished ‘crazy cat lady’, and Paul has always favored man’s best friend – dogs. At least until we adopted our first fluffy kitty together, our sweet boy Yoda. 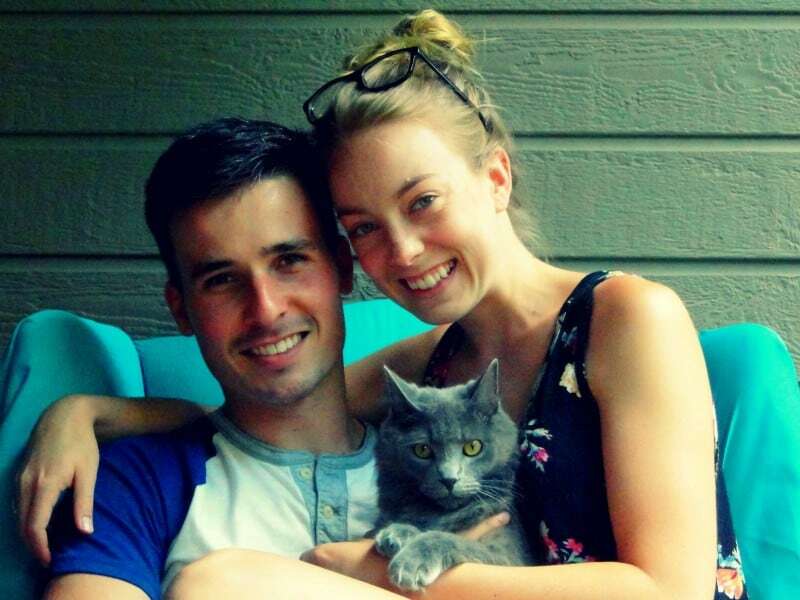 After returning from a year living in France in 2014, I was determined to have a cat of my own but convincing Paul to agree seemed a challenge – until one day we went to visit my sister in Johnson City, TN. There, we visited the animal shelter, and lo and behold, Yoda was waiting for us that day. He was the first kitten we laid eyes on and there was an immediate bond. We left undecided that day if we would return the following day to claim him. The next day with fingers crossed that he was still there, we adopted him! I was so excited, and Paul was still hesitant. He learned to love and appreciate them as much as a ‘crazy cat lady’. The proof is in the work Paul has done for Yoda to make sure he is happy and safe. And this is what has inspired this blog! It also had two holes for his food and water bowls, and lastly, had a fluffy bath mat on top for him to rest on. It was so convenient and best of all Yoda loved it and knew right away it was for him! This is why we want to share our passion for kitties by posting articles and reviewing furniture pieces that will make your kitty purrrrrr from happiness! Please send us an email if you have any questions, we would be happy to answer them! Stay updated for new articles and reviews! After we started our blog in 2015, we moved to Nepal for one year. We took Yoda with us, and if you followed along, you no doubt knew our whereabouts at the time and how much fun we had with Yoda. In 2016, we flew home, back to the U.S, where we stayed for the summer. Yoda lived with his cousins, a bunch of rowdy pups and a furry kitty named Dexter, who Yoda eventually became friends with! In August 2016, we moved to Europe with Yoda because I (Brittany) was starting my master’s degree in the Netherlands. After six months, we moved to the south of France, where Yoda lived happily basking in the sunshine from our apartment’s windowsill that looked out on an old, adorable pedestrian street. The summer of 2017 came, and I had to move to Colombia for research. Meanwhile, Paul and Yoda stayed in France and enjoyed the summer together in Paul’s little hometown. Yoda went on walks (on-leash), climbed trees, and got to lick clean lots of empty yogurt containers. Fall of 2017 arrived quickly, and it was time to move to Belgium for my internship. So with a car full of all our belongings, Yoda, Paul and I road tripped from France up to Belgium, where we lived for roughly five months. After I was finished with my master’s in January 2018, Paul and I briefly revisited France, where Yoda stayed for three weeks while Paul and I went to a friend’s wedding in Kolkata, India. After our return from India, we packed up our things in France and left for the U.S again. It was the first time Yoda was going back to his homeland in nearly two years! We spent five fun-filled weeks with my family in NC and TN, before finally moving to where we currently are now: Mexico. We moved to a small coastal town in the state of Nayarit, on the side of the Pacific. Yoda is a happy, fluffy boy here and has even made a few friends! We are currently taking care of three strays who live in our complex. And that’s how we got here! Yoda has lived in six countries with us. 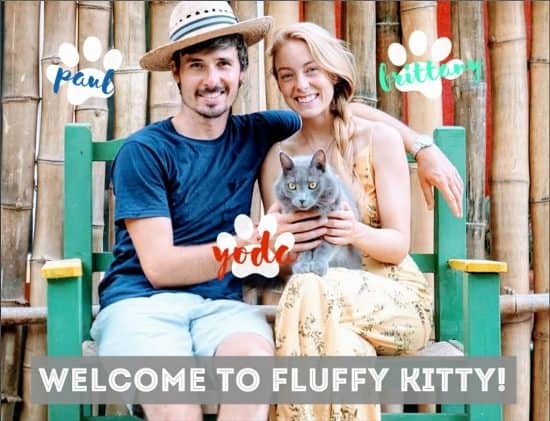 We couldn’t imagine life without him, and so a life of travel with our cat was the only possible solution! During these incredible years, Fluffy Kitty was constantly growing, sometimes slowly and sometimes quickly. We both distinctly remember when Paul and I spent the whole month of February in 2015 writing articles from our room in Kathmandu! Fluffy Kitty started as a small blog, designed to share our tips and knowledge gained from our experiences with Yoda. Now, Fluffy Kitty is becoming an internationally-recognized blog for cat parents who wish to learn how to better take care of their beasts. Thanks so much for reading!!! We would love to hear from you, so please reach out! Disclaimer: Paul and Brittany are not trained veterinarians. The information on this blog is based on facts, research, and personal experiences. We provide you with the best information we can but you are of course free to follow our advice or not. Paul and Brittany (and Yoda) shall in no event be held liable for any loss or other damages including but not limited to special, incidental, consequential, or any other damages.